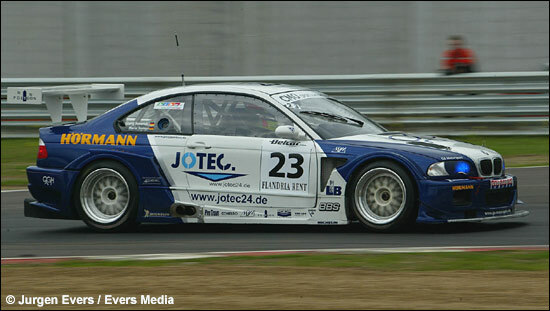 Georg Severich’s GS Motorsport, runners-up in Class 2 and 3 of the Belcar Series this year, has sold its BMW M3 GTR V8 to British entrant Dave Skelton, to be run in Britcar events next year. GS has purchased two brand new Dodge Vipers to run in the 2007 Belcar series. The BMW has run in Belcar since 2005 and after a difficult start in that same year, the car became very successful this season. GS went to a new engine preparation company this year, Van Kronenburg in Holland, after problems in 2005, and this switch paid off (Van Kronenburg also prepares the engines of the G&A, the team of Guino Kenis). But there is much more to the GS story. GS will also race a Porsche GT3 in Belcar - but the team from Aachen is also keen on entering a GT2 car, maybe a Porsche, in the 2007 Le Mans Series. Details should follow shortly. Wolfgang Koepp, PR Manager of the team explains the GS strategy: "GS will stay as a team that likes to work with young talented drivers. Arvid Steinberg, Mario Josten and now Kenneth Heyer (son of living legend Hans Heyer) are good, recent examples. Mario almost won the Belcar class 2 championship - a brake failure ruined his hopes in the closing stages of the last race - and will probably go to the Le Mans Series, while Arvid and Kenneth will stay in Belcar, a good championship for young endurance talent. ”On the other hand, Georg (Severich) himself will focus more on managing his team and will no longer compete in entire series or championships." Longer term, the team's aim is to race at Le Mans, but it's too early to talk details. Kenneth Heyer, with Belcar and BTCS regulars Broodcooren and De Coster, recently won the Zolder 10 hours in a Porsche 996, the annual highlight of the Belcar Endurance Championship, a regional endurance series in Belgium. The black BMW Z3 will be ready for testing in December, the M3 GTR in “about three months”. 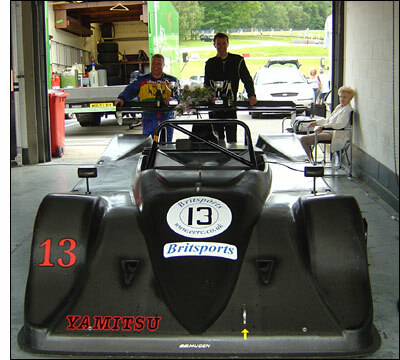 Dave Skelton has been behind the construction and running of the unique Yamitsu (right), which won on its Britsports debut in June - so he clearly knows what he's doing.